There are billions of brands in the world, all vying for the public’s attention and business. As such, it can be difficult to get your voice heard, especially if you’re a new, small brand trying to compete against the more established large corporations. So just what makes a brand stand out? Social media, advertising and PR can all help get your brand get more exposure, but we all know it’s more complicated than just putting stuff out there and hoping the right people see it. How can you make your brand messaging clear, consistent and recognisable? How can your brand be seen by more people? How will you measure if you’ve been successful in boosting your brand awareness? They’re questions that every successful brand has had to ask, and find the answers to, at some point. This guide will break down brand awareness – not just why you need to increase it, but how you can. Think about your favourite brands. What makes them recognisable to you? It could be the logo, the colours, the slogan or a combination of all three. McDonald’s is a good example. Everyone knows the ‘golden arches’ logo, the red and yellow colour scheme and the “I’m lovin’ it” jingle. The slogan is so well-known, the words aren’t uttered in the adverts anymore – they’re whistled. 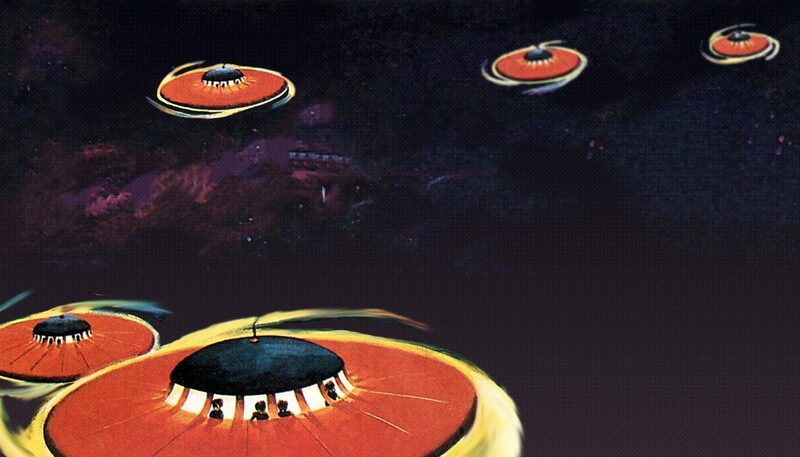 Intel is another example of a brand that has managed to pull this off; everyone knows the slogan “Intel inside” – but through its television advertising we also know what the “Intel inside” jingle sounds like; people instantly think of the brand whenever they hear that particular sound. To be easily recognisable is an aim for every brand, so how can you build your own brand identity? Well, start with the fun stuff. So where do ideas for logos, slogans, symbols and jingles come from? Well, while some people at your business might have a background in music or copywriting, it is creative digital agencies that are usually behind it. Repetitive exposure to a brand is an extremely powerful tool, so keeping your brand’s visual identity consistent (as well as the tone of voice) is crucial. Brands change their logo and slogan all the time, so while hiring a professional creative team is a wise move, nothing is ever set in stone. If your brand is still in the development stages, you have a great opportunity to experiment and create everything at once – which already makes it easier to be consistent in your branding. To get a rough idea for your logo, think of what your brand does and then consider what type of logo would best represent that. For example, there are font-based logos (such as IBM), illustrative logos (such as a car hire firm which has a picture of a car in the logo) and graphic logos with symbols (such as Nike’s ‘tick’). “The first thing I do when beginning to build a new brand identity is to immerse myself in the company I’m working for,” Wez says. “I let the client take me through their story as well as researching the history. Ultimately, you must decide what message you want your logo to convey, and this is usually represented in your slogan. If you already have an idea for a slogan, the logo could also tie in with this. “Sometimes it can take minutes to arrive at a concept for a logo and slogan; other times it takes hours,” Wez notes. The genius of Nike’s simple slogan and positive ‘tick’ logo lies in its ability to be broad and yet personal; it has an emotional impact which will depend on your mood at the time. Think of ways the same approach could apply to your brand. Nike’s slogan was so successful in inspiring consumers that by 1998 Nike’s shoe sales had soared from $877 million to $9.2 billion. Not bad for just three short words. There was a time when jingles were only required by large brands with humongous advertising budgets who could afford prime commercial television time. However, with the popularity of YouTube and its importance in marketing strategies, this is no longer the case. In order to maintain consistency and the professionalism required to make quality video content, hiring a video production agency is recommended. But that shouldn’t mean you can’t create videos and jingles yourself; brands that encompass humour especially have the freedom to experiment in this regard. Think about the history of your company and previous branding efforts – why are they no longer relevant? Like Nike, other brands also use emotion to appeal to an audience. Andy King, a pay per click (PPC) specialist, argues that John Lewis’ ‘Monty’ Christmas advert was a perfect example o how to use emotion to increase brand awareness. “The ad does absolutely nothing in the way of directly encouraging you to visit its site or store but it has reacted perfectly to how people feel at a certain time of year and has set itself up as a key part of the Christmas experience,” he states. Whilst most brands have nowhere near the budgets that John Lewis has, the strategy behind the Christmas ads should be adopted by brands on a smaller scale. If you put out high-quality, educational and thought-leading content, it will be shared by your followers, even if it’s not on TV. “If you can gain a loyal follower-base and turn each follower into a brand evangelist, they’ll take care of your ‘brand awareness’ for you.” marketing manager Michelle Hill notes. But if you don’t have the content or the followers yet, where do you start? Great content that tells a powerful story can attract or change people’s perceptions about a brand. This doesn’t need to be self-promotional; it can simply convey one message or slogan that’s memorable. Sarah Howard, Marketing Manager for Advanced Resource Managers. First, get your team together for a content ideastorming session. It’s amazing how many ideas you’ll be able to put together when you speak to people from different areas of the brand, particularly sales and technology. Sales, for example, might be able to tell you about a common pain point that they hear from clients. You could then turn this pain point into several blogs which are likely to be of great interest to both existing customers and others just like them. For more ideas on how to come up with content ideas, check out our article here. “Who is your audience? Once you know who you want to make aware of your brand you can start to define your messaging to appeal to that demographic,” social media specialist Alex Robertson says. 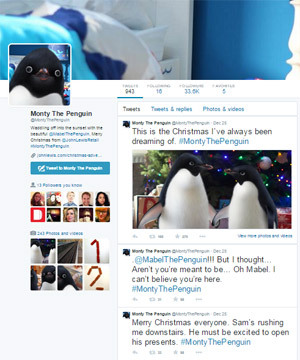 Like John Lewis did with Monty, creating social media campaigns that have an emotional impact on users is a great way to start, as Alex explains. A great example would be PlayStation’s ‘For the players since 1995’ advert, which shows a gamer growing up with his favourite console – from the PS1 in 1995 to the PS4 in 2013. It was inspired by a social media campaign called #PlayStationMemories, which wasn’t planned by Sony; one of its employees came up with the idea on the bus to work. Fans used Twitter to share their favourite memories of playing a PlayStation console and a year later the hashtag is still being used. The advert acknowledged that PlayStation listens to its fans. “Brands should be doing fun stuff with their marketing like PlayStation did,” SEO specialist Sam Osborne says. “Be active on social media but don’t have a one-track mind; a “me me me, look at us” approach doesn’t work. Brands have to engage with the audience. You can’t just rely on shares, though. As content promotion specialist Tom Chapman notes, you should be prepared to promote your content, too. Your brand’s reputation matters, too. Are you an ethical company? If so, let people know. Graphic designer Ryan Jones believes a strong corporate identity is pivotal to encouraging social sharing. “No one is going to want to boost a brand they don’t like or can’t relate to. Morals and ethics are a big deal when it comes to increasing brand awareness,” he says. The Big Knit is a joint partnership between Age UK and Innocent. Innocent Smoothies is one brand with a strong core message that people really care about – marketing its business as sustainable and its product as healthy. All of its marketing efforts promote that image, including its knitted hat charity push during the winter months. The Big Knit is a joint partnership between Age UK and Innocent. 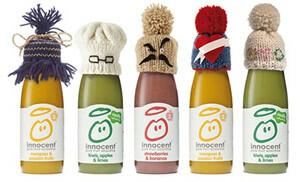 People are encouraged to make and send off small knitted hats, which are then placed on Innocent’s bottles. For every bottle sold, Age UK makes 25p. It’s a fun idea that makes people feel good. Remember, reputations can be ruined by one silly mistake. Your error won’t remain private; it will be shared all over the internet, which may end up costing you big time. Always think twice before you post. Beginning to attempt to increase your brand awareness today is great, so long as you keep it up tomorrow and every day after that. If you want to be successful with your brand, Sarah Howard notes, it’s going to take more than one campaign or piece of content. There are plenty examples of amazing brands that have built up an excellent reputation over time, but how did they achieve this? You’ve got a great logo, slogan and colour scheme. You have brand-consistent content being promoted in different places. Now, search engine optimisation is the key to gaining visibility for all these branded elements – be they videos, articles, infographics or your main homepage. SEO services manager Kerry Dye explains that, in order for a site to rank well, it has to be recognised as an influential brand by the search engine. “A lot of sites without a strong brand – particularly affiliate sites and online-only ecommerce brands – have struggled in recent times, because they don’t have a strong online presence,” she notes. You need to ensure that your site is up to scratch too – that means getting rid of any penalties you may have and ensuring your website is on-brand. Remember that your site shouldn’t offer style over substance; it may look amazing, but won’t be of benefit if your visitors find it difficult to navigate. A great SEO campaign isn’t a quick-fix approach, and won’t mean that your website ranks at the top of Google straight away, but it will result in long-term gains and can help establish your brand better online. However, you won’t receive the best performance from search without content – 92 per cent of marketers say that content creation is effective for SEO, according to Leaderswest Digital Marketing Journal. Whether you’re producing articles, infographics, videos, whitepapers or even quizzes, high-quality content is vital. The pieces you create shouldn’t be random either – plan and implement a content marketing campaign that appeals to your audience. Think about what your audience wants to know and learn; what interests them and touches their heart. You also need to create something that people are likely to share. Not only must the content itself be interesting and engaging, you need to come up with catchy visuals and a clickable headline. Buzzfeed is a great example of a site that generates amazing, highly-shareable content, so it’s easy to see why other brands are imitating it. The type of content it produces isn’t suitable for every audience, but it’s worth glancing at its headlines every so often to see what tricks it uses to pull in readers. Unlike SEO and content, PPC ads can provide immediate visibility – you don’t need to rank high organically in order to appear at the top of a search result. Best of all, searchers don’t even need to click in order for the brand to benefit. You just need to ensure your brand is seen, so the PPC ad should be eye-catching and provide the searcher with valuable information. “If they do click through to your site you can then use remarketing once they have left to continue serving your ads to them as they use the internet,” Coralie adds. A recent study, conducted by Google in partnership with Ipsos MediaCT, highlighted the effectiveness of PPC campaigns in terms of boosting brand awareness. 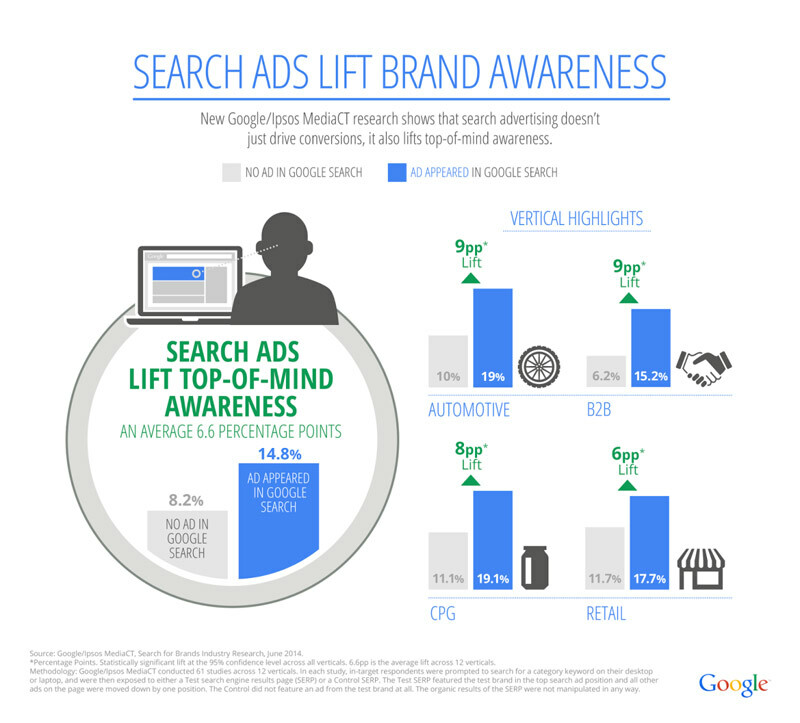 The research showed search ads increase top-of-mind awareness by around 6.6 percentage points. PPC can help bring in revenue quicker, but also ensures that your brand is shown to the right people – those looking for your particular product or service. Anyone that has shown an interest in your brand, but perhaps haven’t purchased anything straight away, will be constantly re-exposed to it during their browsing journey. That way, your brand should always be at the front of people’s minds. And no marketing platform is on our minds more often than social media. Facebook boasts more than 1.2 billion monthly active users, whereas Instagram and Twitter have 300 million and 284 million respectively. If your brand isn’t being represented on these sites, you’re missing the opportunity to target literally billions of people. Moreover, research by Ipsos found 38 per cent of consumers have recommended a brand they follow on a social network. Alex Robertson, head of social, says you need to find out who you want to be aware of your brand. “Once you know your target audience, you can define your messaging to appeal to them,” he explains, citing a recent campaign from Honda as a good example, which saw fictional character Skeletor ‘hack’ its Twitter account. You won’t be able to pull off stunts like this every day, but the Honda example shows how important it is to target your audience correctly. Also, don’t be too self-promotional on social media. Posting discount codes and images of new products you’re selling can be beneficial, but people may start to unfollow you if that’s all you do. They certainly won’t bother sharing your posts, which is vital if you want to improve your brand’s reach. BetfairPoker’s Twitter account takes this lack of self-promotion one step further, it doesn’t promote its service at all. Instead, it focuses on creating funny, shareable tweets related to subjects its target audience cares about, such as football. The result? It has more than 29,000 followers. Even other brands have started to copy it, such as WaterstonesOxfordSt and Arena Flowers. Like social media, PR also has a big role to play in maintaining a brand’s image and promoting that image to the right audience. Kate Daniell, senior press and PR officer at Portsmouth University, says that there are a number of things she and her team do to promote and protect the University’s image. The team also hosts a number of events at the University, so people are free to come in and look around, making it feel like a welcoming place, not an exclusive one. Some of these events even target children, to ensure that they see university in a positive light early on, which may encourage them to attend later on in life. “Even small things like banners are carefully designed and displayed tactically at all our events, using keywords, images and even colours and typefaces to give the right impression,” she adds. When a lot of people think of PR they think of huge stunts, events and campaigns, but it also involves a lot of behind-the-scenes work. Kate says even the language and tone it uses in all its forms of messaging has to be selected very carefully, to ensure the brand’s key values are properly portrayed. For example PR will check with film crews that the brand’s logo is in shot, and discuss with senior staff where logos should be placed on a building. “In some ways, that’s a key aspect of what we do, acting as the eyes and ears of the organisation and advising management if a course of action is risky or if their choice of works could be misinterpreted,” she explains. What are you actually getting back as a result of your efforts to increase brand awareness? Alex Robertson believes that success is different for every department. Brand awareness success could be increasing the number of followers you have on Twitter, site visits via content or just getting your brand mentioned in a national newspaper. It really does depend on what you want to measure and what avenues you want to use to increase brand awareness. Kerry Dye explains that despite the fact most SEO campaigns focus on increasing non-brand visibility of a site, there are a number of success metrics that can be looked at. In PR, success metrics can be widely different. Kate Daniell states that success may be measured by something as simple as not appearing in the media at certain times, or through the number of invitations it receives to work with local businesses. Again, it’s all about knowing what you want to achieve. If you manage it, your efforts have been a success. Moreover, once you’ve increased brand awareness, whether through advertising, SEO, PPC, social, PR or content, you can’t stop doing these things; otherwise you will slowly undo all the good you did for your brand. This is exactly why huge brands like Coke continue to run huge campaigns and constantly aim to make people aware of its brand – if it didn’t, people would soon forget about Coke and turn their attention to one of its competitors. Coralie uses the John Lewis Christmas ad as a good example of this. “The John Lewis Christmas campaign goes into production in February and costs it about £7 million,” she states. How do they know it runs at a loss? The effect of the ad could still be coming through by Christmas the next year. If you want to grow your business further, brand awareness is key. No matter how good your product or service is, you won’t sell anything if no one is aware you even exist. One decent campaign or advert isn’t going to cut it either; you need to use a combination of services to build your brand. Even if you do work your way to the top of Google, or become the most followed brand on Twitter, you shouldn’t stop trying to increase or maintain awareness of your business, otherwise your competitors will soon catch up. Service delivery, product quality, communication, user interaction, and outgoing messages should all be aligned and drive towards a single goal. Need help increasing your brand awareness? Speak to our team of experts today on 023 9283 0281 or submit your details here and we’ll call you.